This entry was posted in American Literature and tagged Don DeLillo, Dystopian fiction, Sci-fi, Zero K by Simon Lavery. Bookmark the permalink. Happened to come across a reference to just this topic yesterday in a rereading of a wonderful writing book (my all-time favorite) called “Dare To Be A Great Writer – 329 Keys To Powerful Fiction,” by Leonard Bishop. Pertinent thoughts, Maureen. I’m not familiar with Bishop, but this is a useful way of seeing the enigmatic Mr D’s novel. It did – does – truly puzzle and intrigue me. Not often a work of fiction does that in so interesting a way. But it does also have some irritating qualities. Whatever you think of Zero K in the end, it certainly makes you think! Fascinating thoughts Simon. I also found the first part of Zero K cold and stilted and missing or incomplete in some way. Then I wonder about the ‘Convergence’ and how many of DeLillo’s earlier works figure in it, like a kind of dying echo. In the end the book made me feel very sad, but I’ve read practically everything else by the man (Ratner’s Star I’ve failed at twice, and Americana I still haven’t got around to) and it felt like he was consolidating and killing his earlier work. To what end I’m not sure. I read a comment from someone somewhere about how the name Artis could be a condensing of the Latin term “Ars Longa Vita Brevis” Art is long, life is short and I think this was a very observant comment. I think this sits at the heart of what this book is, but you have to dig pretty deep to see it. Thanks for this carefully considered thought, Belinda (hope that’s right). Yes, the dialogue with earlier novels is evident – air-born toxins, squat jumps, tv screens in taxis, etc etc. Is this some kind of summary swan song? I don’t know. It’s definitely about Art & Artists, as you say, & about art’s endurance in a toxic, changing, tech-fixated world. I’m still trying to figure it all out. But why weigh it down with that turgid first first 160 pp? Maybe I’m not reading well. I missed the TV screen in the taxi, I’ll have to watch for that next time. 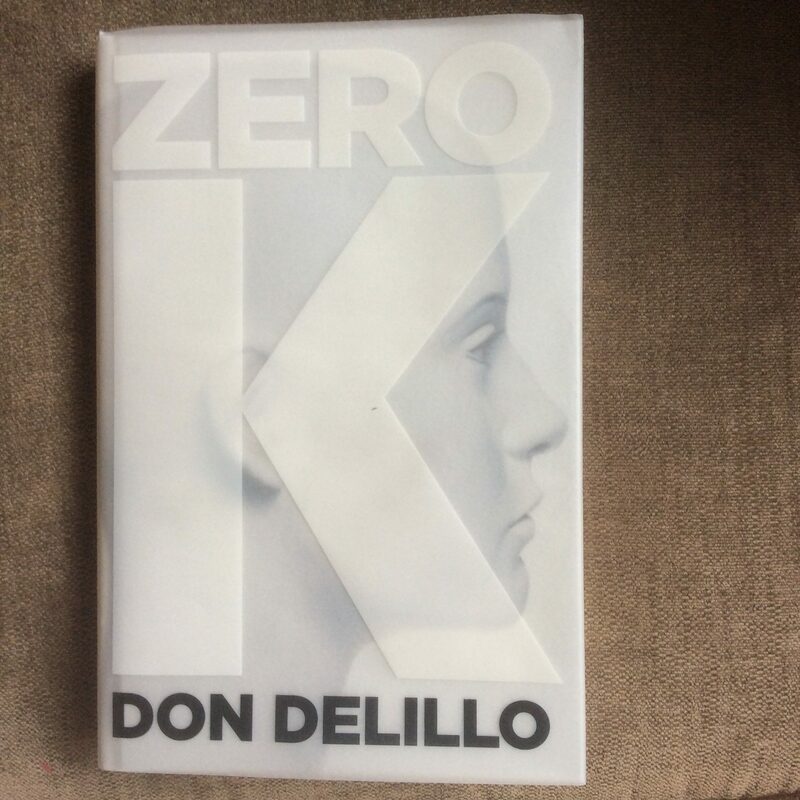 I agree, the entire first section is leaden and bewildering, I feel like DeLillo had something in mind, was reaching for something, and he may well have reached it (it took him a long time to get this novel out, so I suspect it is exactly what he intended) but I don’t think I’ve grasped it and I think very few people have or will. I struggled with the book until the monks scene, and like you I almost gave up but that scene made me pick it back up again. And it reminded me in many ways of Ratner’s Star, which I haven’t been able to read all the way through yet. Something very clever and very odd about it. But what is going on? I’m glad I’m not the only one who still doesn’t know what to make of it. I will have to read it again (but would rather read The Names again first!). I reread most of it as I tried to figure it out. Nearly didn’t write the post, I struggled so with what to make of ZK, but trying to formulate some views helped gain a little – limited – purchase. Good to know I wasn’t alone in nearing abandoning it. If I hadn’t been away from home without an alternative read I probably would – but I’m glad I persevered. Second section much more coherent – fewer preachy speeches & pronouncements. Certainly is an odd, uneven but interesting novel. Thanks for these useful contributions.